We recently posted about why it's so important to exfoliate your entire body (many of us only make a point to exfoliate our faces). Using a body scrub regularly can seriously improve your skin, and it also happens to be one of the easiest products to make yourself! So we thought we'd let you take matters into your own hands and DIY it. Common ingredients you'll find in body scrubs include honey, sugar, salt, coffee, olive oil and other moisturizing oils, oatmeal, essential oils, and spices. You probably have a lot of these ingredients already! The recipes below will help you get started on your own DIY body scrub collection. Remember that substitutions are totally possible, so mix and match and make it your own. And if you're wondering where to find a container to store these in, you can use your empty ASC scrub and mask tubs! See this post for inspiration. Since these recipes use fresh ingredients, it's best to store them in the refrigerator. There is some belief that the caffeine in coffee can help reduce the appearance of aging skin. Whether or not this is true, exfoliating can help that area and reduce the appearance of bumpiness. If your skin is sensitive, oatmeal is a good substitute for the coffee. It is lightly exfoliating while also soothing for the skin. The olive oil adds moisture while also helping this mixture stay together and apply easily. Bananas are lightly moisturizing while also helping to control oil. This makes them great for you if you have areas of your body that are prone to oily skin, such as your chest or back. Those with super sensitive skin may want to swap oatmeal for the sugar. The other bonus of this scrub is that it smells like dessert. ¼ teaspoon vanilla (if you like). Mix ingredients to combine but avoid mixing too much, as it will thin out the recipe. Apply in the shower and allow to sit about a minute, then gently massage over skin in circular motions. Rinse. This is a great cleansing scrub for reducing your risk of oily skin. 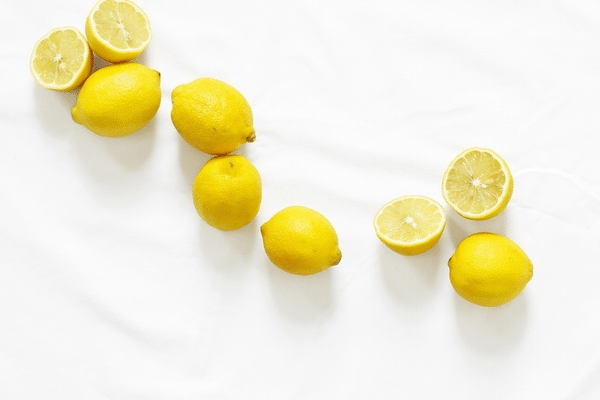 The olive oil helps to balance out the lemon, so your skin will be left clean but not dry. We recommend adding rosemary or grapefruit essential oil to this. Both are invigorating, stimulating, and also help keep oily skin and clogged pores in check. A couple drops of your favorite invigorating essential oil. Combine olive oil and sugar first, followed by the lemon juice and rind. Finish by adding essential oil—rosemary and grapefruit are both invigorating and good for your skin. Apply to skin in circular motions, then rinse off. We can't say enough about the benefits of green tea both internally and externally. We have infused it into many of our products, including our Anti-Aging Eye Cream. Click here to read more about the benefits of green tea. Combine first three ingredients and then work in the oil. Apply as usual, using circular motions, and then rinse off. This one is super moisturizing! Exfoliating allows you to really absorb the butter and oil. Your skin will feel all kinds of soft after you use this. Use a double boiler to melt the shea butter or cocoa butter. Once it’s melted, whip it up with a mixer until it’s smooth and fluffy (a hand blender would also work well here). Add the olive oil and coconut oil and slowly mix into the butter. You can add some essential oils at this point if you like. Finally, mix in the brown sugar. Apply as you normally would, but you can leave this one on the skin a little longer to take advantage of the moisturizing properties before rinsing off. Have you made your own body scrub before? Let us know in the comments below! 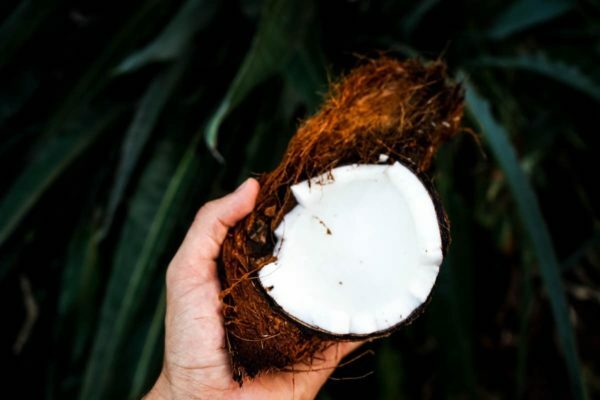 can Coconut oil be substituted for olive oil? Honey also a good option in the recipe of body sugar scrub, it will helps to nourish and moisturize the body. What kind of brown sugar should be used? For ground oatmeal – can you use blend some rolled oats in a food processor? I would like Ideas for puff under the eyes. Would you mind posting how much of each ingredient you use to make the body scrubs. Coconut, sesame and olive oils. I’ve been making deliciously simple body scrubs for years, and have often given them as Christmas gifts to girlfriends, wrapped beautifully with a custom label for each. 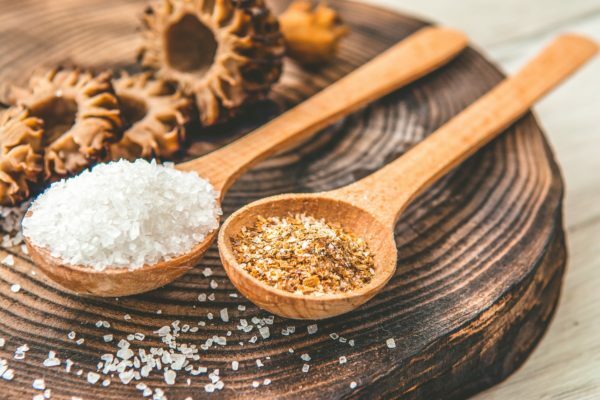 I use finely ground, non-iodized sea salt and mix with a blend of oils, most recently coconut, olive and sesame, adding a slight amount of essential oil, tuning in to what I feel each particular friend would like. Sometimes will add actual herbs, or flowers – makes it so pretty and fragrant. I use equal parts of coconut oil and coconut palm sugar with great results. Just made over 35 of them for a shower. I used equal amount of the coconut oil and brown sugar with 1 tsp spice.